Warm air or heating furnaces evenly distribute warm air throughout your home, business, or facility. It takes careful and precise planning to ensure that warm air furnaces are properly installed. The HVAC experts at Rebmann have been repairing and installing warm air furnaces across Long Island for decades. Our highly-skilled technicians are specifically trained to provide you with an excellent customer service experience. Rebmann takes pride in keeping Long Island warm, and has done so for three generations. Gas or oil burner will turn on in accordance to the thermostat reading. Temperatures will continue rising until desired temperature has been reached. The heat exchanger, simply stated, warms and recycles cool air. It essentially “exchanges” cool air for warm air. Fan control settings tell the furnace when desired temperatures have been achieved so the system can self-regulate. Limit control settings provide additional safety precautions should heat levels continue increasing to an unhealthy or dangerous level. There are many moving parts to heating furnaces making it clear that these devices should be routinely maintained so as to avoid cold winter night emergencies. Always leave it to a professional and experienced plumber to get the job done right the first time. Your continued access to heat is far too important not to routinely maintain. Rebmann provides Long Island customers with convenient service contract agreements so maintenance jobs like these become automatic. 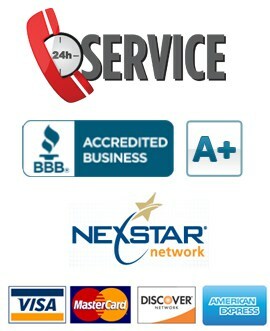 Clients with service agreements receive top-notch and specialized treatment at affordable rates. We offer fixed pricing options and warranties in addition for both warm air furnace repairs and installations across Long Island’s north and south shores. Don’t delay. 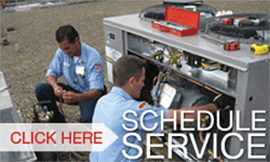 Contact Rebmann to handle all of your heating service maintenance projects.